These hand painted porcelain cake topper comes in 3 different skin tones: light, medium, and dark. 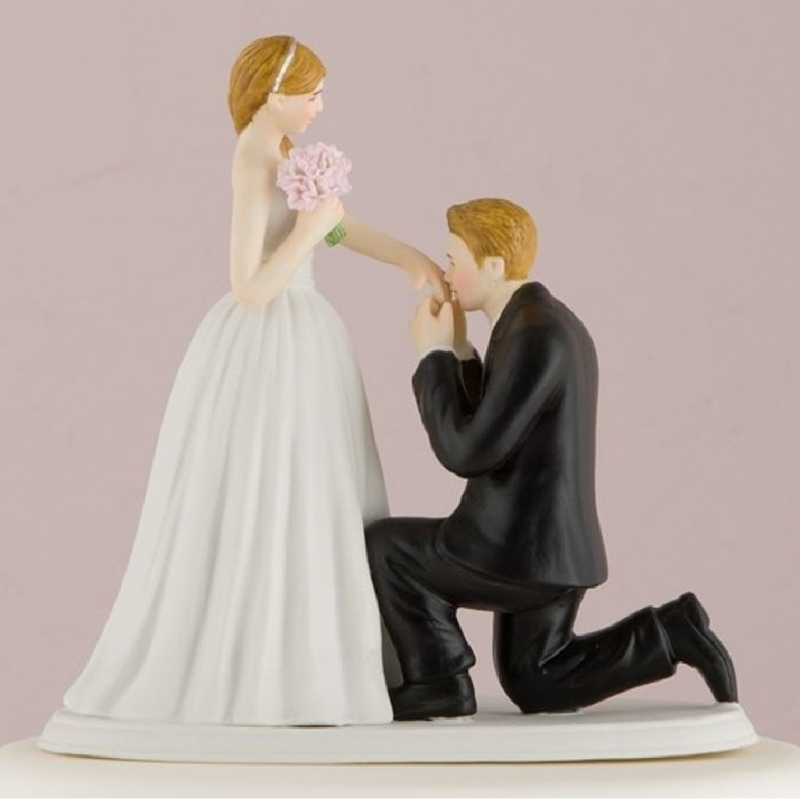 It measures 5 1/4' x 2 7/8' x 5 1/8' H.
This cake topper comes in a classic wedding pose in which the groom is on one knee asking for the girl’s hand in marriage. Generally, getting down on one knee is a sign of humility and surrender. Just like how knights bowed down before their king, a man would get down before the woman he wishes to marry as a sign of respect and to surrender their single life, to start a new life with her along his side. Use this cake topper to forever manifest that delightful moment.